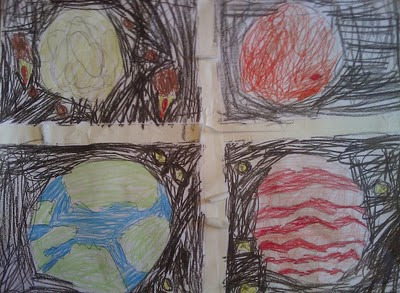 Seven-year-old Brooks' thoughts are often in outerspace. His Halloween costume was an astronaut. He was thrilled when he heard we were going to the Swasey Observatory at Denison University this past Friday and just as disappointed when the weather postponed it, twice. He drew the planets in the artwork above. 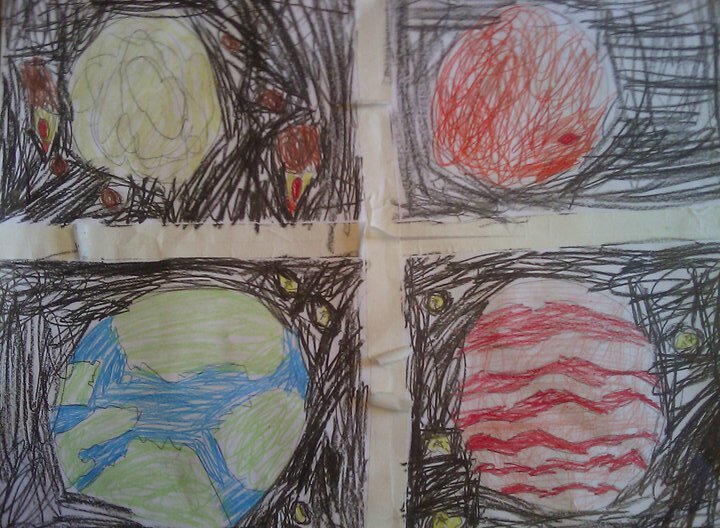 He claims he drew this from memory and that we are seeing the Sun, Earth, Jupiter, and Mars. Whenever he gets to the Observatory, he hopes to give this artwork as a gift.